Spending 21 days in South Africa – site for the 2010 Soccer World Cup – fabulous golf, scrumptious food, superb scenery, warm hospitality and outstanding accommodations. Now is the time to visit this spectacular part of the world especially with the exchange rate being so very favorable to the dollar. There is an air of excitement that is palpable throughout South Africa due to the World Cup. South Africa is sports crazy and crazy about the sports personalities, especially their golfers and rugby players. The land of Nelson Mandela, the heartache and the joy, the diversity, the unparalleled beauty, this all makes South Africa a truly fascinating and enchanting destination. 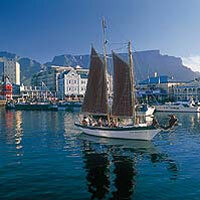 The fairest of them all, the Cape Province, is one of the world’s most beautiful destinations. This is where Mandela spent 23 years of his life – on Robben Island, just a short ferry ride from Cape Town. 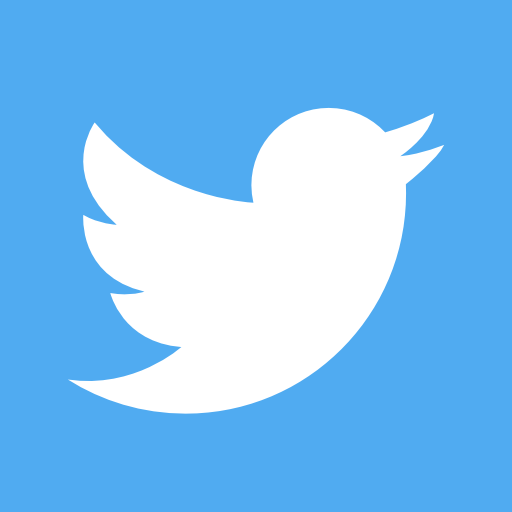 As for the golfers; Bobby Locke, Gary Player, Ernie Els, Retief Goosen, Trevor Immelman, Tim Clark and Rory Sabbatini are the golfing icons of this beautiful part of the world. South Africa is a favorite destination for U.S. and European golfers and travelers because of its remarkable fusion of cultures, cosmopolitan cities, scenery, unforgettable wildlife-viewing opportunities at game parks and private game reserves, its popular wine regions, fabulous and inexpensive golfing and the high-quality of accommodations and outstanding cuisine. There is so much to see and do in the Cape, that two months would hardly make a dent in the wine country alone. The golf courses are superb and, if you like caddies at $11 a round, outstanding accommodations and memorable golf, this is the right place. There are so many options and destinations to choose from that the following golf courses, wineries and restaurants represent some of the very best that can be experienced in the Cape. There are outstanding accommodations at very reasonable rates in Cape Town. 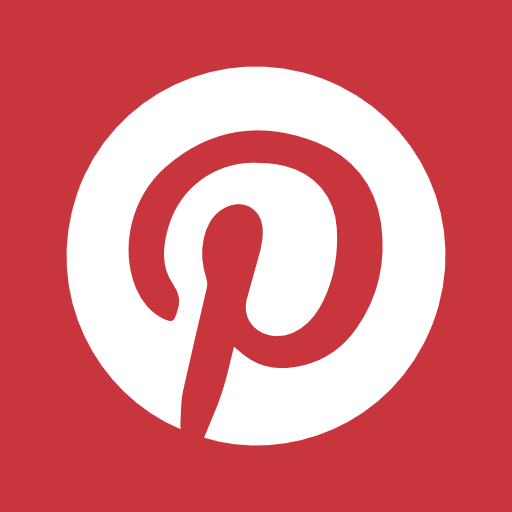 Always check the web sites for current rates and specials as they change throughout the year. While in Cape Town and in between playing golf, sightseeing offers a variety of wonderful experiences. Your first order of business is to visit Table Mountain. Depart the city for the Lower Cableway Station to board the revolving cable car for a 5-minute ride to the top of Table Mountain. Above sea level at1036 meters, it affords bird’s-eye views of both city and Peninsula as you walk its summit (weather permitting). Always call ahead to check whether the cable car is operational that day, as strong winds will keep the cable car out of operation. Return to the city via the old Cape Malay Quarter for a walk through the Company Gardens, the fresh produce gardens for ships and locals from the mid 17th Century, and today home to the SA Museum, Cultural History Museum, Houses of Parliament, National Gallery and St George’s Cathedral. Stroll through the city to Greenmarket Square to browse African mementoes at its bustling market stalls. golf Another must-see trip is a visit to the Castle, the oldest building in South Africa with its collection of Old Cape paintings and takes in the Grand Parade where Nelson Mandela addressed the nation on his release in 1990. Move on to the District Six Museum to view a moving collection of stories, pictures and memorabilia highlighting the colorful life of this suburb, which now stands empty, thanks to the destruction of homes and forced removal of residents during the height of the Apartheid era. 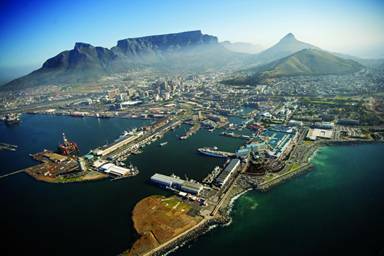 The complex, situated between Table Mountain and Robben Island, in the heart of Cape Town’s working harbor with the dramatic backdrop of Table Mountain, offers theatres, restaurants, upscale boutiques, curio shops, art galleries and grocery stores. Intermingled are imaginative office locations, world-class hotels and luxury apartments in the residential marina of the center. With easy access, excellent security and parking availability, The Waterfront is Cape Town’s center of activity seven days a week. Three hotels that I highly recommend are the Peninsula in Sea Point, Cape Town Hollow and the Hollow on the Square, the latter two in downtown Cape Town. The hotel is ideally situated on the internationally acclaimed Platinum Mile of Cape Town. 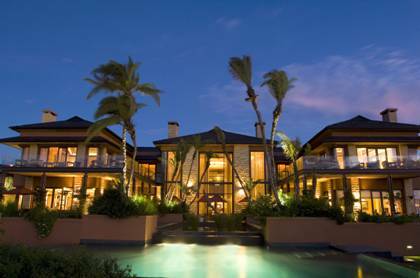 The Four Star Peninsula Hotel is home to discerning visitors from around the globe. 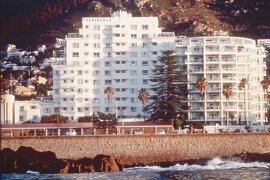 The reason is simple; The Peninsula, with its matchless style, location, Atlantic Ocean, Lions Head and Robben Island views, combined with subtle elegance, make it one of the most popular hotels in Cape Town. Built in the 80’s, it has been refurbished and updated and truly is a “home away from home”. Every room has an Ocean View! Their free Tuesday evening African buffet, featuring traditional South African dishes plus drinks, is one of the many highlights of one’s visit to the hotel. The staff is simply outstanding and the general manager, Chris Godenir, is in my opinion, one of the best in the business. Nothing is to much for him or his staff to make your trip memorable. The Peninsula All-Suite Hotel’s courtesy shuttle bus is at your disposal to take you to your preferred destination. Cape Town International Airport is 30km (18.6 miles) away (30 mins by car or taxi). Part of Jack Brotherton’s Seasons In Africa Group, their Cape Town division offers two hotels – Hollow on The Square and the Cape Town Hollow. These two hotels are superbly designed and are for those visitors who prefer a smaller property to the larger commercial hotels and masses of guests and staff. Room with a View Lying just below the shadow of Table Mountain and across from the Dutch East India Company Gardens, this 56-roomed 4 Star boutique hotel is hip and very comfortable. Its location, as that of Hollow on the Square, offers guests easy access to trendy restaurants, nightclubs and Green Market Square. The wellness center is equipped with a heated swimming pool, sauna, gymnasium and 2 massage and beauty treatment rooms. Its sister hotel, the 114 roomed, 4 star Hollow on the Square, is in walking distance from the famous Victoria & Alfred Waterfront, City Center and Cape Town International Convention Center, plus the open-air curio market as well. Both hotels offer cigar lounges, cocktail bars, lounges and business centers. The Amici restaurant at the Hollow offers street-ambience with great food and service. What is most impressive about these two hotels is their attention to detail and highly trained staff. In fact, when I report on Part Two – Johannesburg and Game Lodges, the Seasons in Africa group dominates and this theme will be covered in more detail. Magica Roma – Claremont – Italian – Ask for Ezio (the owner) – he can perform magic in the kitchen. Their outstanding recipes are traditional and rely on top quality imported products such as Parmesan cheese, bottled tomatoes, salamis, Parma Ham and olive oil, so there are no short cuts in this kitchen. Bukhara Indian Restaurant – Downtown – watch as the finest Indian cuisine is prepared in the glass-walled open kitchen. The menu is mostly North Indian but some specialized South Indian dishes, Kashmiri barbeques, tawa dishes, dumpukt and typical South African meats such as Ostrich and game including Springbok and Kudu are available – just ask. Kalky’s Fish Shop – Kalk Bay Harbor – authentic seaman’s dockside restaurant here you will find the freshest fish and prawns all superbly prepared. The Kingklip fish is great for eating. Twenty minutes from Cape Town in picturesque Kalk Bay. Average meal is R30 – $3.50! Twenty minutes away from the bustling center of Cape Town is the amazing 5-Star Steenberg Hotel, award winning winery and golf course. The 30-bedroom boutique hotel nestles in the tranquil Constantia Valley, against the slopes of the Steenberg Mountain. It is, without doubt, the ultimate Cape experience. 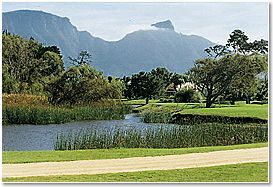 In fact, if there is just one place to stay, eat and play golf, this is possibly the best venue in the Cape Town area. This luxurious estate is designated as a National Monument and is the oldest wine farm in the Cape Peninsula. The scenery is breathtaking, the service a ten plus and its championship golf course is both outstanding and memorable. All the service staff was extremely friendly and helpful. Both the property manager Gaby Gramm and Queeneth from reception, in particular, stood out for their welcoming and pleasant attitude. The hotel buildings (1682) with the Manor House, Jonkershuis and the Barn have been declared a National Monument, lovingly restored and decorated traditionally with antiques in the elegant styling of the 17th Century. These beautifully renovated white-walled Cape Dutch buildings are grouped around a large manicured grass courtyard. Steenberg offers the elegant and exclusive Catharina’s restaurant, a producing wine cellar, and all the facilities of a top-class country hotel, yours to enjoy at whatever pace you choose. This stunning boutique hotel is a haven of serenity and gracious hospitality with a choice of twenty four elegant, air conditioned rooms, three of which are the incredible Heritage Suites. Each en-suite room is tastefully furnished with exquisite antiques and all rooms overlook the vineyards, golf course or manicured gardens. An impressive exhibition of Eduardo Villa sculptures on the hotel grounds provides a contrast between the historic buildings and abstract art. If you need access to the outside world, there is a complimentary Diginet line available 24 hours a day from the guest computer in the Barn Lounge of the hotel. In addition, all the suites have a desk, three direct phone lines, handheld and speaker phones, an I- Pod station, a fax machine with dedicated fax line and complimentary high speed ADSL Wi Fi internet access. The Khoi Khoi suite, one of three Heritage suites, is a 1710 square foot two master bed roomed duplex suite – phenomena! The furnishings, the artwork, the private pool and the in-room chef are remarkable. Having your own perfectly cooked meal and a wine tasting of the estate’s wines, with friends in the suite, is the height of luxury. Steenberg’s flagship Sauvignon Blanc Reserve has won awards year after year. A private butler is also available. Amenities include an on-site hairstylist and beauty consultant and a gymnasium. Guests can shed their cares and surrender themselves to the luxurious traditional and natural therapies at the Spa at Steenberg. Upper level quality of personal service is unique to this small luxury hotel. The 18-hole Steenberg golf course is a wonderful golfing experience and is well known for its hybrid design by renowned South African golf course architect, Pete Matkovitch. Opened in 1995, the course attracts golfers wanting a total golfing experience. Tradition is represented by aprons of bent grass around the greens that allow for the bump and run—a shot rarely seen in South Africa, where robust kikuyu grass usually takes this option off the table. The radical hybrid change instituted comes in the shape of sand- and water-protected island greens and waste areas (a la Pete Dye?) hugging entire fairways. The course is always in excellent condition and the staff throughout the property is simply fabulous. 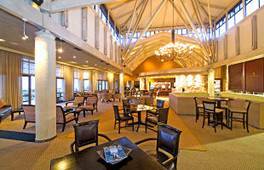 The clubhouse has recently undergone an extensive renovation. Remember, irrespective of your score, you’ll want to try a glass of Steenberg’s stunning merlot at the nineteenth hole. If you love playing a traditional, old-time golf course that stirs your soul and sense of history, then Royal Cape Golf Club is just the right place. Royal Cape Golfplatz The Royal Cape Golf Course lies only 15 minutes away from the city center of Cape Town. Access from Cape Town is via the M5 in the direction of Muizenberg. Turn-off at the “Ottery / Wynberg” exit, and then turn right. Driveway is sign-posted. The Royal Cape Golf Club is the oldest golf course in South Africa. It was founded as early as 1885 by the British General Sir Henry Torrens, who had taken over the command of the troops at the Cape and immediately laid out a golf course in front of his military camp in Wynberg. It received the attribute “Royal” in 1910 by the Duke of Connaught, who represented King George V at the opening of the first parliament of the South African Union. The Royal Cape Golf Course is famous for its superb scenic beauty, but also known to be windy and difficult to play. Pars are rarely possible. The course has been host to numerous competitions. Nine times the South African Open took place at the Royal Cape already. In 1965, Gary Player won the tournament with a record of 273 Scores (4 rounds = 15 under par). The green fee is R500; considered high for a local, but equivalent to just $50 and with a caddie, add another $11. Home to the South African Open, owned by Dubai based Leisurecorp, the Jack Nicklaus designed Pearl Valley lies in the Franschhoek Valley which is only 45 minutes from Cape Town.Visiting Franschoek is an experience in and of itself, as eight of South Africa’s “Top 100” restaurants are found in Franschooek, known as the gourmet capital of the country. The 170-hectare championship golf course (par 72) is in the heart of the Cape Winelands. This upscale American-style gated residential development is set against the stunning backdrop of the Drakenstein and Simonsberg Mountains, and bordered by vineyards with The Berg River water hazard running through it. This fairly flat and largely uninterrupted terrain fits with the environment and enabled Nicklaus the freedom to develop hole strategies making this a golf course the golfer has to think his/her way around. In its engineering and planning detail, the course is very rare. It is crossed by roads in only three places, and the drainage system allows play to continue just minutes after a severe cloudburst. It is one of the most visually spectacular golf courses in the Cape – and from the tips, one of the most challenging. Their three top management individuals, Jack Hrad, Dave Young and David Murray are exceptionally friendly, competent and make you feel like a king. All the staff are extremely courteous. The state-of-the-art clubhouse is spectacular as is the food. 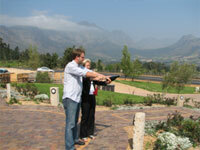 Accommodations are available onsite or in a variety of hotels in the Franschhoek and Paarl areas. After you leave Cape Town, head out to the Garden Route on towards Port Elizabeth. It is a wonderful drive on great roads through some of the most beautiful and exhilarating scenery and all on excellent roads. The Garden Route boasts the best fauna and flora to be found in the Cape floral kingdom, which spreads its rich finery throughout the George region and the famous Outeniqua Mountains. The whole Garden Route is a natural garden – that is the worlds smallest but richest plant kingdom – boasting over 8500 species, of which 68% occur only in South Africa. In this floral wonderland you’ll encounter the famous Cape fynbos (fine bush), Afromontane forest and the semi-arid succulent Karoo. The Garden Route area consists of a remarkable blending of mountains, rivers, indigenous and cultivated forests, colourful shrubs and wild flowers, glorious beaches and beautiful rich farmlands. No wonder the Hottentots, who inhabited the district, named the area Outeniqua – ‘man laden with honey’ – which it still is. Your first stop should be at Pinnacle Point just outside Mossel Bay. Superbly situated close to Mossel Bay on the edge of the magnificent coastline that signals the gateway to the Garden Route, Pinnacle Point epitomizes coastal luxury and exclusive living. >This development, especially the golf course, will knock your socks off. Sure there is Cypress Point, Pebble Beach, Bandon Dunes, Kingsbarn, Torrey Pines and Cape Kidnappers, and they are marvelous, but Pinnacle Point is in a class of its own! It’s the new Garden of Eden of golf. Pinnacle Point was recently voted one of the top ten golf courses in the world – it’s that good! Nestled in an unspoilt natural paradise, embraced by the warm Indian Ocean, Pinnacle Point is situated at the gateway to the Garden Route in South Africa. The resort is just a 3-hour drive from Cape Town and a 20-minute drive from George International Airport, which in turn is only a short 1-hour flight from Cape Town International Airport. Pinnacle Point lies on a huge property of 400 hectares right at the sea and looks down on four kilometers of spectacular coastline and boasts dramatic cliff-side holes and over 1000 hectares of unspoiled beachfront of which 100 is a nature reserve. The championship course was designed by Darren Clarke and Peter Matcovitch, who himself called it the most dramatic course he had ever worked on. Several of the holes are situated right above the ocean. The emerald green fairways and tees provide the perfect surface for making shots and the bent grass greens will ensure a challenging and entertaining game. The views, especially from the ultra modern clubhouse, are awe inspiring, with dramatic coastal views of the ocean from all areas of the course. Some of the holes are situated along the cliff side. In addition to this, the natural beauty of the indigenous flora and fauna complete this unique golfing experience. In fact, the resort is home to indigenous wildlife, bird life and 264 varieties of fynbos – a nature lover’s delight! The resort consists of eighty-two luxurious lodges and nineteen lavish villas, each comprised of two to four bedrooms en-suite. A picturesque swimming pool with snack bar and magnificent clubhouse with restaurant complete this total resort experience. When you need a break from golf or the weather is unforgiving, there is also a casino right at the entrance to the development. The new Pinnacle Boutique Hotel will open in December. When you can pull yourself away from Pinnacle Point, head on to Knysna, a charming and beautiful harbor town with outstanding views and many activities and sights to enjoy . Beaches, lakes, mountains and rivers provide endless opportunities for leisure and outdoor adventure. Within the town, craft shops, flea markets and cozy cafe’s beckon with small-town charm and hospitality. Knysna is synonymous with fine indigenous timbers, and famed for the craftsmanship of its furniture and timber products. The area is home to the only forest elephant in South Africa, the unique Knysna seahorse and the Pansy shell, the brilliantly colored Knysna Loerie, a plethora of waterfowl and forest birds, dolphins and visiting whales. Knysna has two great residential golf developments Simola and Pezula and a stay at either is superbly outstanding. Simola is a 45 minute drive from the George Airport (70km) and less than 30 minutes from the Plettenberg Bay airfield. The luxurious 5 star Simola Lodge and Country Club’s facilities include a gourmet restaurant, pro shop and heated outdoor swimming pool with breathtaking views over the Knysna Lagoon to the warm Indian Ocean. The rooms are magnificent, unbelievably luxurious so that you never want to leave. The Simola course, another Nicklaus parkland – style course, offers challenging and rewarding golf amidst spectacular scenery. Set below the high ridges, it’s free from the wind that so often plagues coastal courses. Interesting fairways flow with the natural undulating contours of the terrain and the unusual configuration of five par 5’s and five par 3’s adds a new dimension to the game. Unlike Pearl Valley or the Royal Cape courses, every hole boasts exceptional views; either out across the Knysna Lagoon all the way to the Heads or over the picturesque Knysna River as it twists and turns through the valley below. 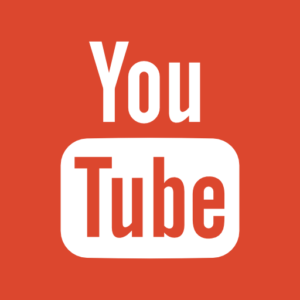 Learn how to hit shots below and above your feet! The hotel facilities also include a fine dining restaurant (complete with Sushi Bar), Sir Roy’s cigar bar, a hair salon, a jewellery shop, 24-hour in-room dining service and a gift boutique. The bar area with its outstanding views is a great 19th-hole. One of the best destination resorts in the world! Opened in February, 2005, Pezula Resort Hotel & Spa has 78 exquisitely appointed suites with private balconies or patios, log fireplaces and sumptuous en-suite bathrooms. Pezula has been recognized as one of the Most Environmentally Aware Developments in the World, and also as one of the Best Luxury Developments. The main building houses a Spa and Gym, executive boardrooms, Zachary’s gourmet restaurant, the Pezula Designer Collection boutique, a Champagne & Whisky Bar, Cigar Lounge, library and game room. The Resort has a vast range of facilities and activities. All guests have access to the Private Estate where the owner, Keith Stewart has built a Field of Dreams sports complex with tennis courts, a sports oval and golf driving range. It is anticipated that at least two World Cup teams may use these facilities. The Noetzie Pezula Private Castle on Noetzie Beach, is one of the most exclusive destinations in the world. Want your own Private Island and space? This is as good as it gets! You can live like royalty in this magnificent residence, where Nelson Mandela chose to spend a week with his family. Built into the cliff-face on Noetzie Beach, it offers discerning guests direct beach access, huge luxurious suites with private terraces, and personal service from a dedicated team of staff including an executive butler and private chef. The day we visited, we were treated to two whales frolicking just off shore. The Pezula Championship Golf Course, formerly named Sparrabosch, is amongst one of the most scenic and spectacular courses of South Africa. 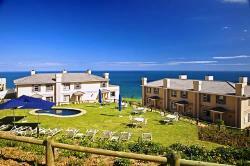 Its 254 hectares is situated high over the Atlantic Ocean, on the Knysna cliff tops overlooking the lagoon of Knysna and the Indian Ocean. Par for the course is 72. The course was designed and harmoniously integrated into the coastal landscape by the Americans Ron Fream and David Dale. The whole Pezula development has matured into a very upscale community since I last visited this project 7 years ago. What a pleasant surprise! The resort and spa are out of this world. No expense was spared and it shows. The interior layout and design is an architectural masterpiece that takes your breath away – simply stunningly awesome. Facilities at Pezula Championship Golf Course & ClubThe stylishly appointed Pezula Clubhouse lies adjacent to the luxury Pezula Resort Hotel & Spa. It offers guests exceptional facilities including a vast terrace overlooking the golf course with views across the greens to the Indian Ocean, a restaurant and bar, a boutique golf shop, halfway dining facilities and comfortable change rooms with showers. Other facilities include a shoe cleaning service, a short game practice facility and putting green. There is also a plush private lounge with fireplace, bar, dining room and library for owners of Pezula. As far as accommodations I prefer Simola’s rooms for sheer luxury and size. Though for golfing, I preferred Pezula’s course to that of Simola’s, especially for playability and views. The modern clubhouse overlooks the land provides for all your needs. Besides the excellent restaurant, there is a cozy lounge with bar, a tennis court, a gym and a heated swimming pool. Another accommodation option for those who prefer a less expensive option yet close to all Knysna has to offer is the Knysna Hollow Country Estate. This is another of Jack Brotherton’s collection fromhis group, Seasons in Africa. 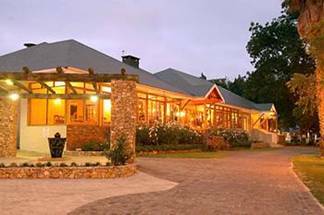 The hotel, just off the main road in Knysna, is beautifully set on a secluded old country estate near Knysna’s famous lagoon. Set amongst timeless oaks and pecan trees, the gracious old manor house forms the focal point of the lodge. Built in a bygone era, it is finished with pressed ceilings, yellow wood floors and indigenous furniture. All rooms and chalets have been renovated and tastefully decorated with a Knysna forest feel. Accommodations consist of 15 garden chalets and 64 garden rooms all of which are extremely comfortable. It has a great pool area with guinea fowl and wild birds roaming the grounds. At night it is delightful to sit and gaze at the night sky. The Knysna Hollow Restaurant is situated in the Manor House and serves fine food in relaxed and warm surroundings. The scintillating, yet refined menu reflects flavors and influences from around the globe, with a selection of dishes sure to stimulate the senses. Choose between ocean fresh seafood such as Cape Crayfish and Linefish, South African specialties such as Karoo Lamb and Venison dishes or decadent desserts including Crème Brûlée and Blueberry Ice Cream. I would, however, avoid spending the night or any time at aging Fancourt. However highly touted by the media, the past 4 trips have been nothing short of exasperating, overpriced and overrated. If bad service, bad food and below average golf are acceptable, then you have been forewarned. Compared to Pezula and Simola, Fancourt rates about one-star! Oubaai, an 18-hole Championship Golf Course, is just 8 kilometers from George and approximately 60 kilometers from Knysna. It is also near Herold’s Bay (and his beloved Bosvelt Saloon bar), which is one of his favorite holiday homes. His father Neels, lives two doors down. Ernie and his team have taken full advantage of the spectacular site they were given. Playing the course, the views and outlooks take in forest, sea, river and mountain! Not only is the course memorable and scenic, the course also fairly displays challenges and hazards, while affording players the opportunity to use a full range of shots and plan strategically for individual holes. More importantly, it flows so well. Ernie did a magnificent job in his approach to golf course design which is primarily centered on flexibility and enhancement of the surrounding environment. Concepts are molded according to the landscape and not vice versa. Simply stated, Oubaai is superb and of championship quality. The Cape Winelands hold the history, politics, failures and successes of South Africa in their bottles. Together with the “Mandela magic” that has positively touched every aspect of tourism, they have also brought a creative verve to South African wine, and one that you can see— and taste— on the Stellenbosch and Franschoek wine routes. Owned since 1999, and opened officially in December 2004, with his life-long friend, the former Springbok, Jean Engelbrecht, the Engelbrecht Els partnership not only has one of the most beautiful vineyards this writer has ever seen, but it is probably the most technically advanced in South Africa. Ernie’s private wine cellar is worth its weight in gold alone. East of Stellenbosch lies Franschoek which was settled by French Huguenots in the late seventeenth century. 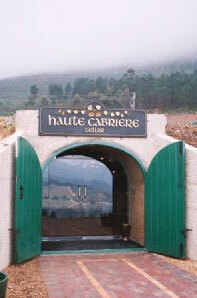 Here you will find, in my opinion, the most magnificent vineyard and restaurant in all South Africa – Haute Cabriere. Of course, as a part owner, I am somewhat biased, but being an independent/ freelance golf writer, a plug here and there is my privilege and I’ll take this opportunity to introduce this stable of varietals to the world. This is a GASTRONOMIC EXPERIENCE with wines available by the glass and the opportunity to order half portions of food allowing the tasting of many combinations while cherishing the feeling of sitting inside a vaulted cellar. A huge window allows the barrel cellar underneath the restaurant to form a stunning backdrop to the restaurant. There is a set menu for R145 ($20) or with a recommended glass of wine per course R210.00 ($30) (This menu is only available for tour operators and tour groups). Perry Golf’s Guided Golf Package’s itinerary includescourses such as Royal Cape, Oubaai and the Gary Player Country Club covering Cape Town and Sun City, from $2,995.00 for ten days! I can hardly wait for next year’s visit to Leopard Creek and Zebula Golf properties. Its amazing that even being a South African by birth, every visit to South Africa is magical and new experiences abound.